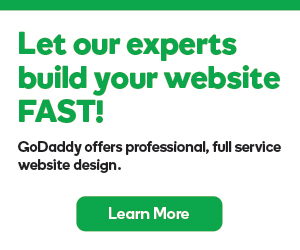 You can change the name of any page on your site. Click the page menu, and click the pencil-paper (edit) button. Use the Edit Page fields to update the page. After you make your changes, click Save to close the window. Note: Use a Page filename that identifies your page's specific purpose or content. (It need not match the Page name.) Keep it to 1-4 words, separating each with a hyphen or underscore. Include the file extension (.html or .php) only if you're migrating from Website Builder version 6. Click Publish, then click the confirmation window link to see the change live on your site. Note: To set any page as the Home page, select it in the menu and click . 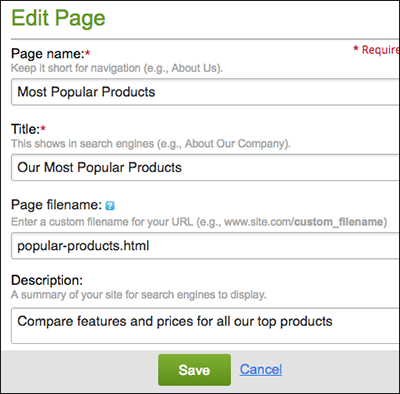 See Organize pages with navigation menus to help customers browse your site pages.